The Aquabatix synchronised swimmers jumped at the opportunity to perform in front Sheikh Mohammed Bin Rashid Al Maktoum and 500 guests at the opening of The Terrace in the Persian Gulf at the world’s only seven star hotel, Burj Al Arab Jumeirah. See a short clip here of the opening event. 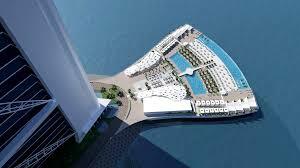 Dubai’s most iconic building stands tall in the sea and now accommodates a terrace with three swimming pools as well as a restaurant, cabanas and a beach with 1,000 tonnes of white sand. Aquabatix were asked to create a six minute bespoke performance with 16 synchronised swimmers, eight at each end of the large freshwater pool. Performing alongside a team of dancers to live music from a female singer, the team created a unique spectacle fitting for such a prestigious event that was very well received by all the guests. Sheikh Mohammed inspected the entire venue before the opening event where 500 guests watched a promotional film on how the Burj Al Arab’s terrace was constructed as well as how it supports marine life. After the presentation, the guests were asked to step forward towards the swimming pools which were lit up to reveal the opening night’s entertainment. As the singer and dancers strode out onto the iconic glass bridge, Aquabatix took to the swimming pools and kicked off the water entertainment for this incredible party over the sea. 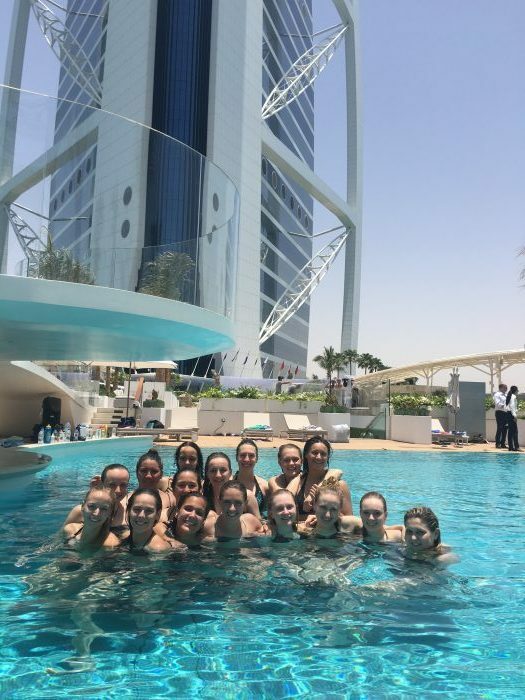 Aquabatix spent two days rehearsing at the venue, becoming the first people to ever swim in the Burj Al Arab’s beautiful swimming pool. Just after the sun set, Aquabatix took to the pool in gold metallic swimsuits to perform an upbeat synchronised swimming show in front of the guests. It was an honour to perform at one of the world’s most glamorous locations and we hope to return very soon!